i currently own a 2009 C350 and only have the OEM 5" in-dash display without NAV. 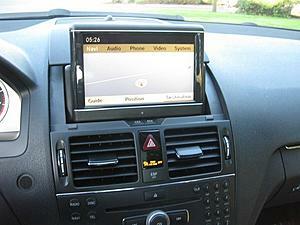 my question is, is it possible to upgrade to the OEM 7" Navigation System Display (part no. A 204 820 46 97 9F 45) as long as i also upgrade the head unit below to the matching OEM Navigation CD Radio Head Unit Changer HDD? Nice thread, I have got the same problem. You do know that the 7" display isn't touchscreen either, right? 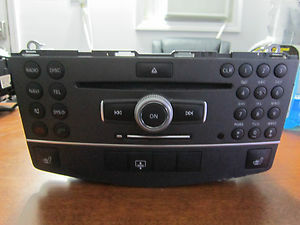 You just buy this, take the old one out plug the new one in, then have the dealer to program the car Navi = Present. It is NOT touch screen tho. that thread got all too confusing for me. does it make a difference that i'm in the states and the parts i'm trying to upgrade with are made for the US and not Europe? after the above, you'll also need to take car to dealer or anyone with a star diagnostic tool or even aftermarket tools that can program the needed scn coding and update datacard on vehicle. optional to update firmware on your control unit to the newest verson then update map verson as well. 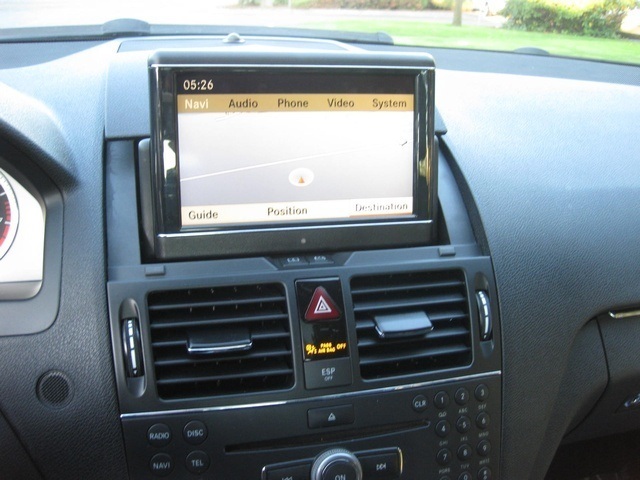 i recently just upgraded my 2011 c300 with the 7" screen, what snowmuch said is completely wrong in regards to what needs to be purchased. uh? That's what I did and everything works fine. without the new harness to the front SAM, your screen would not even power up. not to mention then center air vents are missing the 2 buttons for the screen closure and tilting functions unless your car originally came with the comand pre-wired, which i highly doubt. then have the dealer to program the car Navi = Present. the IC need to be SCN coded for this. The code for your old system need to be removed (523 for Audio 20) and the code for COMAND with (512) or without (527) DVD changer needs to be added, then the COMAND unit and the IC need to be SCN coded, this can only be done using a valid star diagnosis tool. catching feeling over there huh??? It all depends on your cars as well as the HU current setup, ie. if MOST is activated in any side problems can occur, it may also work from the getgo but thats not the case for everyone. In any case I feel that I would want my car correctly programmed and coded to eliminate future problems and make any kind of diagnosis troubleshooting easier. Most common is that HU is shutting down, often in combination with opening or closing front doors. Very accurate picture of yourself. A link to what?, why is this so important for you? your guys are charging you too much, its really not that costly, i got my whole unit done for a lil over 1500. just go on car-parts.com and find a used unit and display. as for installation, take it to any body shop to install then finally, take it to that "authorized" shop to have them program it.